I thought that the main germination inhibition for mimosa (Albizia julibrissin) was the water impervious seed coat. This is an experiment to check that. I found some mimosa pods that had just fallen from the tree. 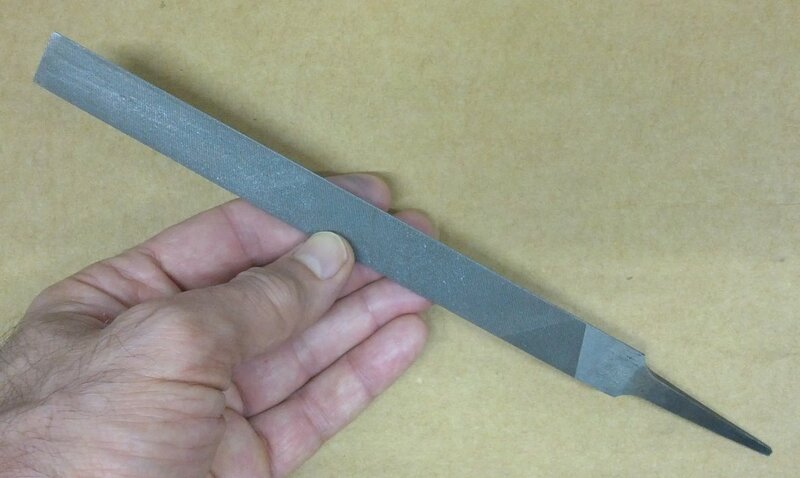 Their structure was papery valves (the flat sides), with wiry reinforced edges. It was evident their dispersal mechanism is to be blown about till the wiry edges wear out, allowing the valves to peel apart and drop the seeds. This goes along with the idea that the seeds are blocked from germination until their hard coats are breached, either from erosion by gritty soil, or long rotting in humus. I took out ten seeds. I put them in water to soak. About 24 hours later, two of the ten (20%) were imbibed with water. 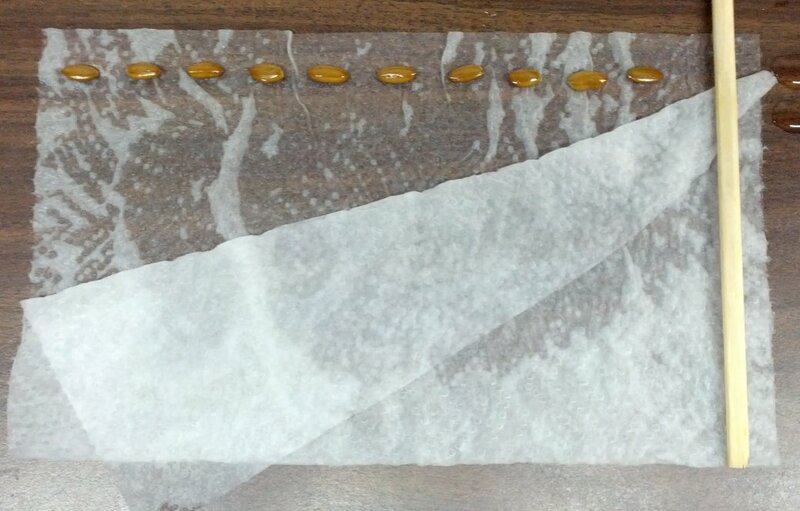 This verified the seed coat was impervious enough to water to prevent absorption. Compare imbibed to not imbibed. Breaching an impervious seed coat is called “scarification”. 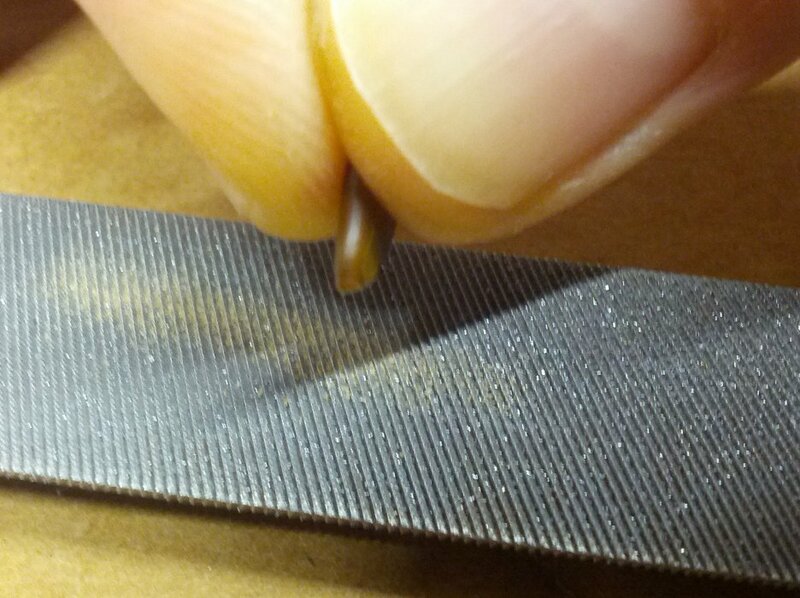 There are various ways to do it to bulk seeds; but for individual seeds you can use a file, knife, or sandpaper. Here, I scratched seeds on a file. I rubbed till the lighter colored interior showed through. I also nicked some seeds with a utility knife. 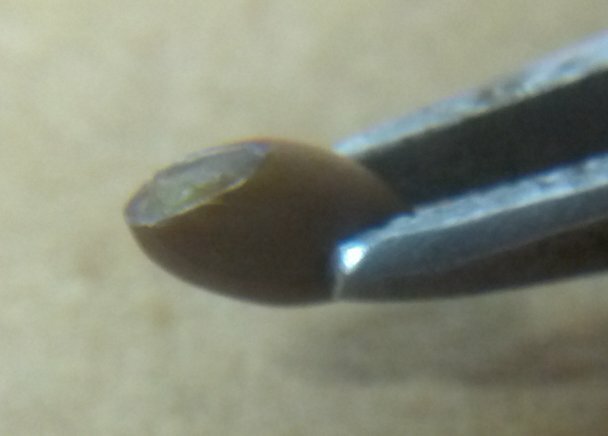 I avoided the very tip of the seed, in case I might damage the embryo root, though seeds like this often protect their incipient root by embedding it somewhat back in the embryo. 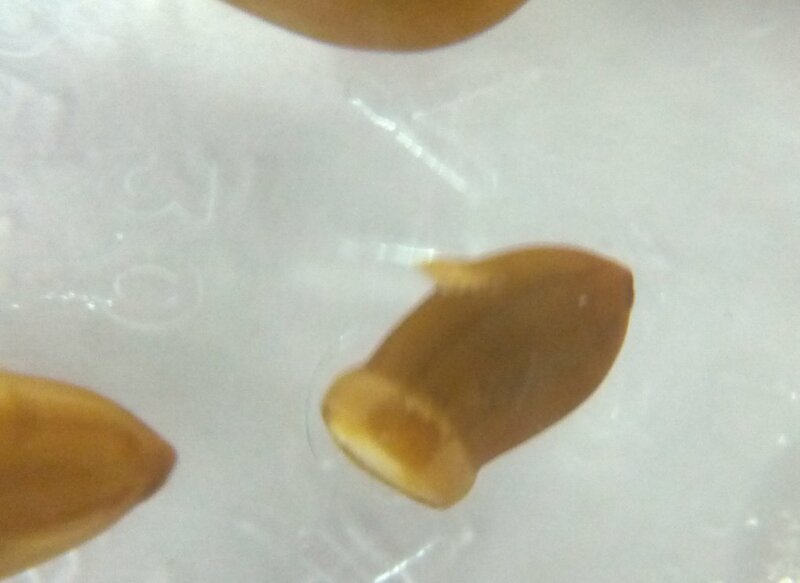 Here is a scarified seed beginning to imbibe. 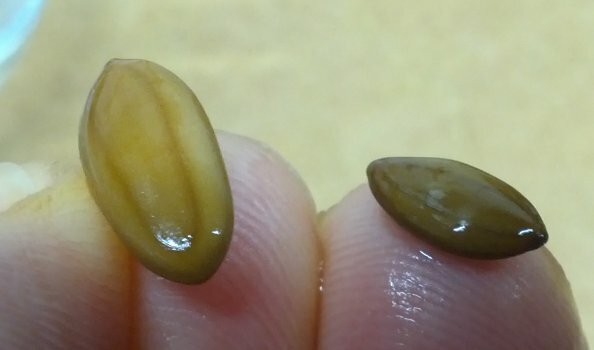 This seed was both scratched and nicked. The flap towards the top is the nick. The water absorption is a chain reaction. 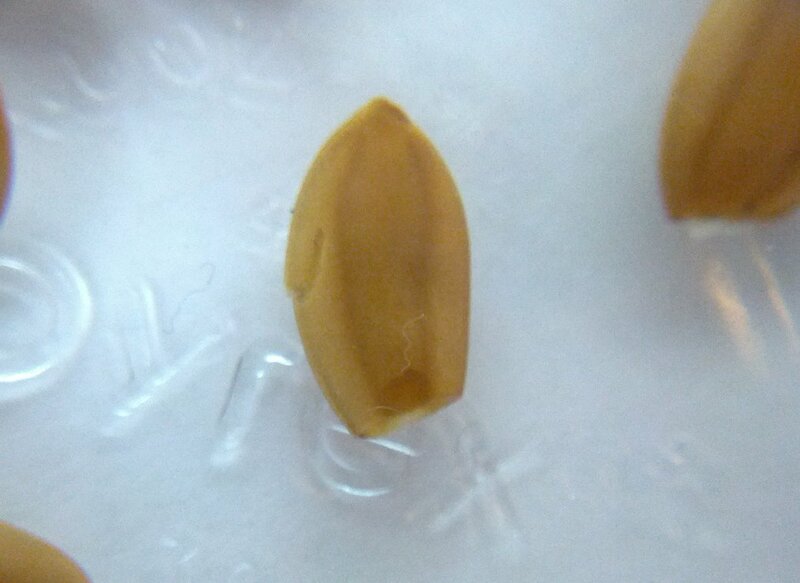 As the interior swells, it disrupts the seed coat from the inside, and allows still more water to enter. Here is the same seed fully imbibed. The water absorption goes quickly after the seed coat is breached. Here, the seed has become fully imbibed after only a few hours. 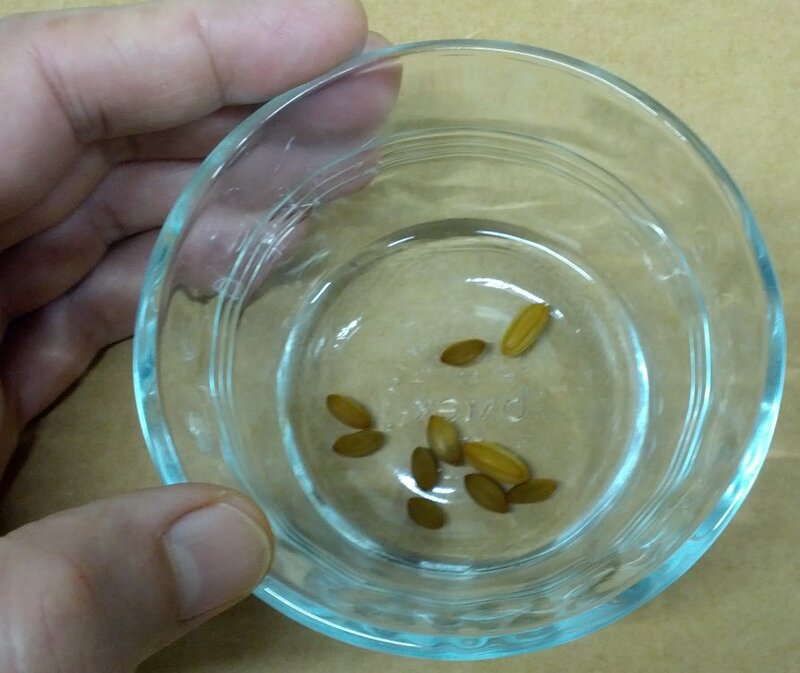 Many of the intact seeds were still dry inside after twenty-four hours soaking, and could have remained so indefinitely. 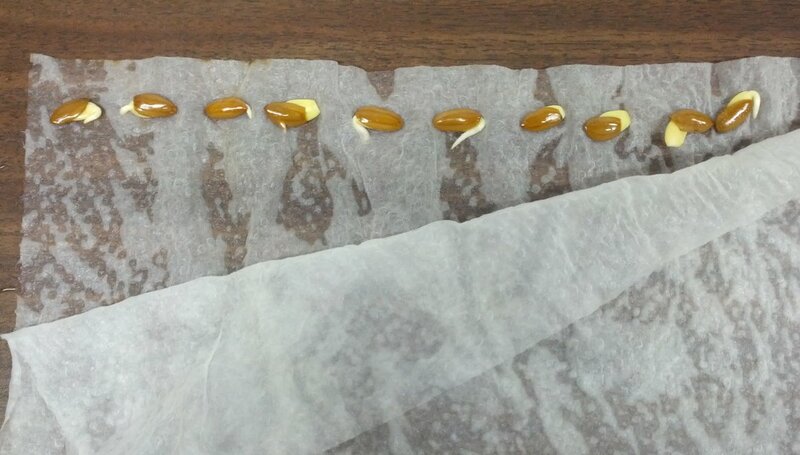 In order to closely observe the seeds, I put them in a standard germination test setup, rather than planting them in soil. Here they are along the top of the folded, wet paper towel. 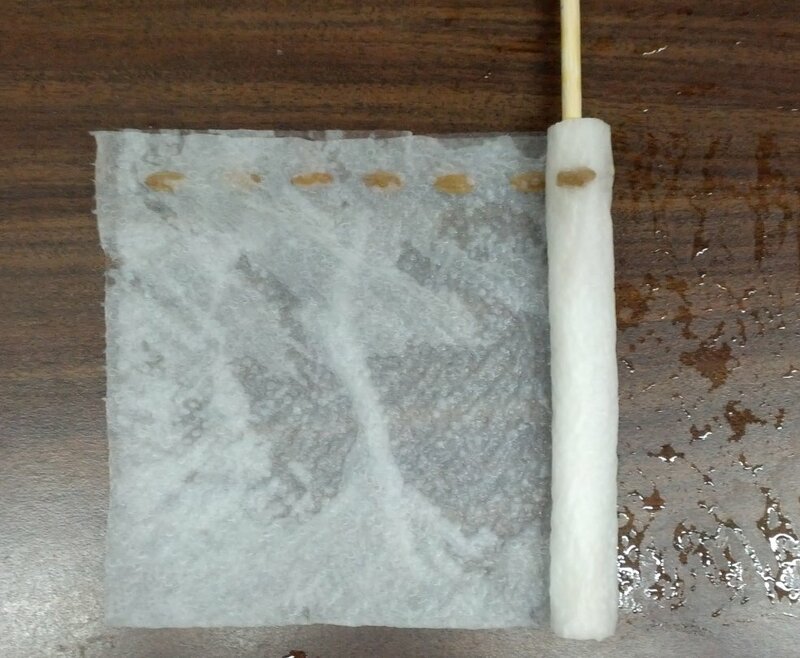 I close the fold, and rolled this up on a chopstick. 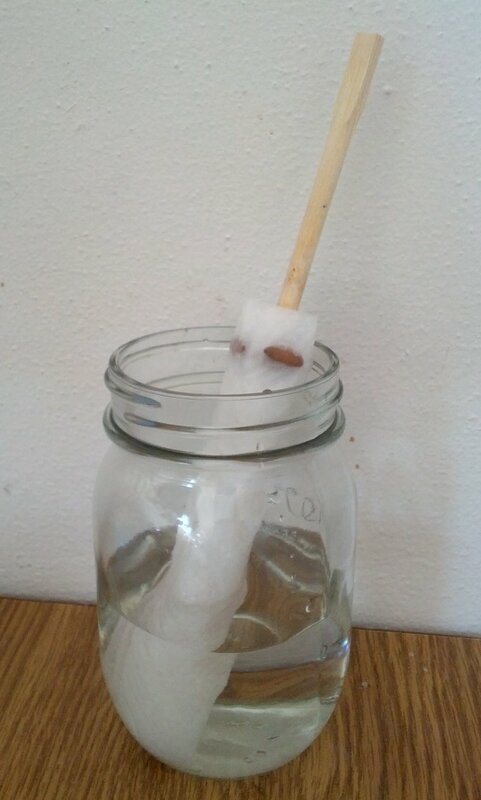 I held this, in light, at warm room temperature, about 80 degrees F.
Within 48 hours, I had 100% germination. This demonstrates that mimosa seeds’ germination requirement is primarily imbibation with water, and warm temperature. There is no inhibition by light, and no chilling requirement. This explains why mimosa seldom volunteers in Portland. The time of year when temperatures are warm enough is also the driest weather. Seedlings that germinated in early summer would fail from drought later. Categories: botany and horticulture, how-to, science, Uncategorized | Permalink. Botanical term: “Imbibe”. Most seeds can remain dry-dormant for long periods of time. When they take in moisture to capacity, they are said to “imbibe” it, or to “become imbibed”. 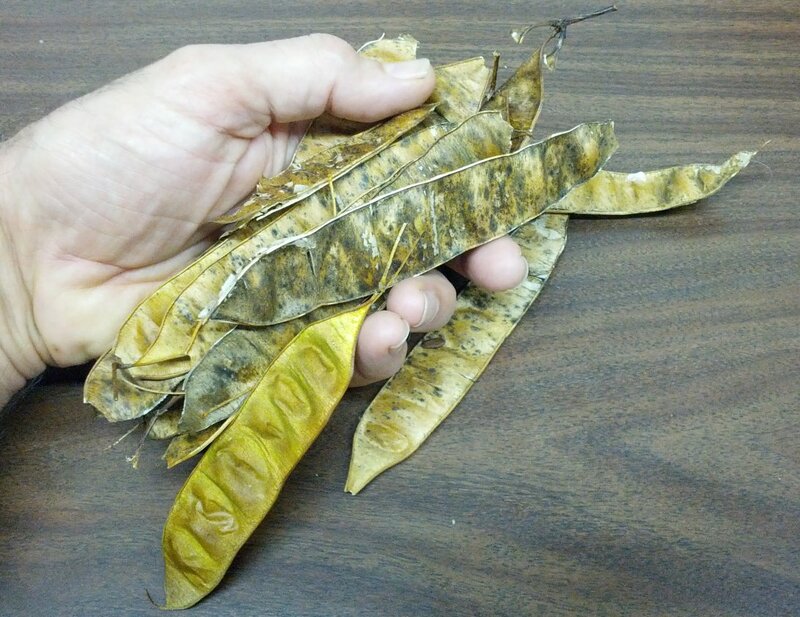 Some seeds, like the beans used for food, noticeably swell. Others, like tree seeds such as apples and maples, do not look much different. In these cases, the main change is internal texture. The plant embryo, which was hard and brittle when dry, becomes leathery or soft. The state of “being imbibed” with moisture is distinct from simply “wetted”. 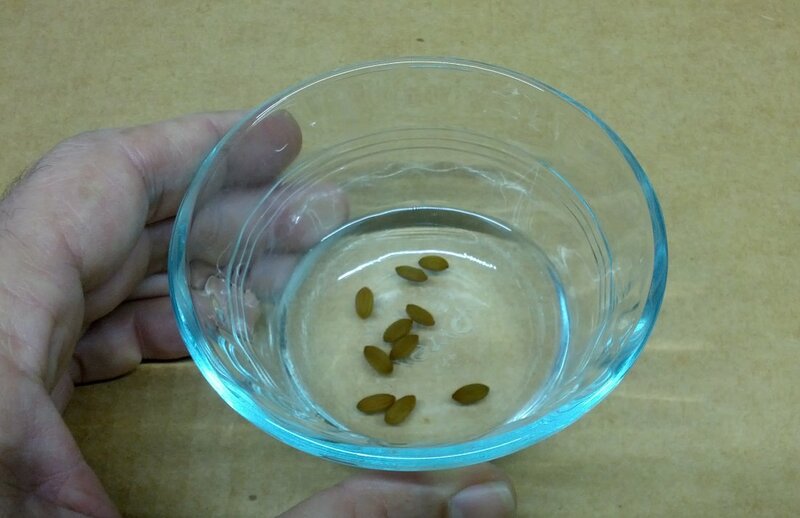 Seeds with an impervious coat may not become imbibed, even when soaked in water. 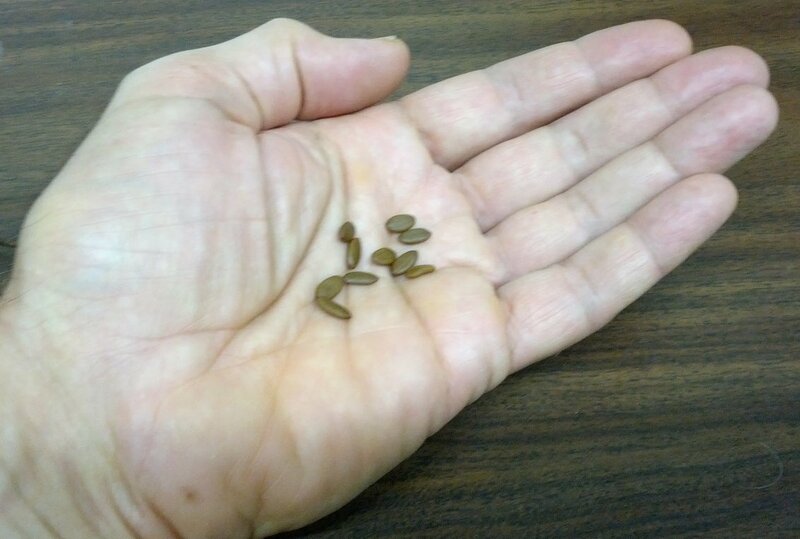 On the other hand, many seeds will become fully imbibed when placed in soil that seems scarcely moist to the touch. Categories: science | Tags: botany, gardening, nature, seeds, technical, terminology | Permalink.